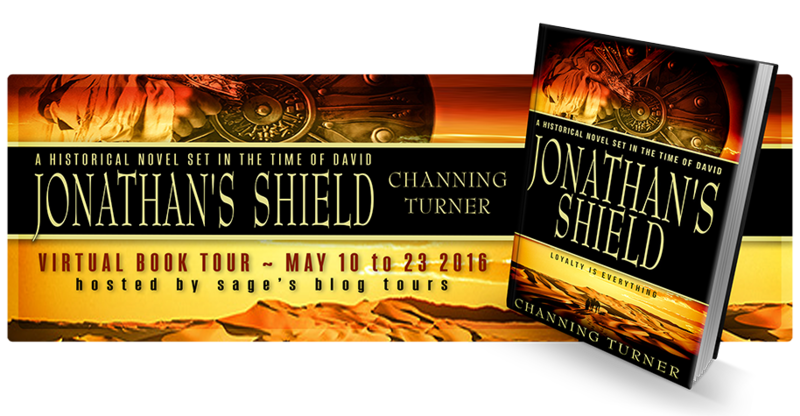 I got the idea for Jonathan’s Shield several years ago when I stumbled onto the story In 1st Samuel. It’s a little remembered incident where Prince Jonathan, accompanied only by his loyal shield bearer, climbs a hill and routs a Philistine outpost to win the battle for Israel. That shield bearer was never named nor heard from again. I thought he at least deserved a name. Beral. Beral then watches and tells the subsequent story of David and Jonathan to its conclusion. My intent was to fill this biblical tale with real people—people like us, with flaws and shortcomings who occasionally display instances of noble behavior. After all, when you look beneath the dry wording of stories in the Bible, you see some pretty dramatic stuff. It’s better than reality television. When you write a novel like this, you can’t help but come to like—maybe love—some of your characters. Of course, it’s easy to like Beral. After all he’s the main guy, and he’s conflicted because he’s a good and loyal man. But I also have a warm spot for Zelig, the gruff old warrior with many of those same traits. However, Zelig is older and wiser. He already knows about the weaknesses of men and women. He sees his role as mentor to young Beral. Then there’s King Saul. He is paranoid and losing his grip so at this stage in his life so it’s hard to like him. I tried to hint at the character of the man he used to be when Yahweh chose him to be the first king of Israel. I don’t know if I succeeded at that. Probably not. Anyone writing a historical novel has to do some research. I suppose how much depends on how true to life you want to be. Fortunately for me, I enjoy history. I read a lot of books and articles about the setting and time of this story. Sometimes I would start reading about some particular subject and forget I was supposed to be writing instead. I can’t say all of it was fun, but there is a certain amount of satisfaction you get when you complete a project like this. 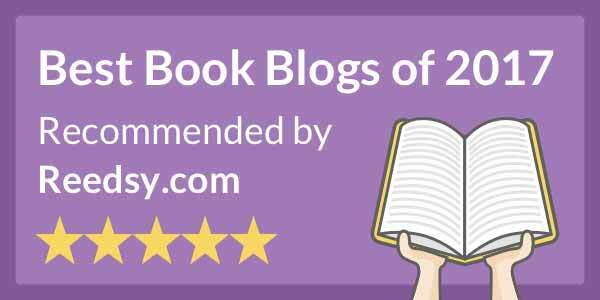 I only hope readers find it to their liking too. To learn more please visit Channing Turner’s website. 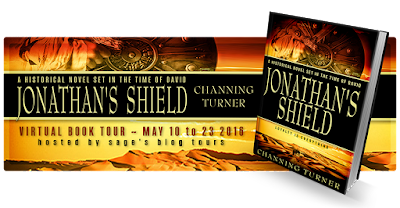 Just in case you missed Pal Judi Moore’s review for Jonathan’s Shield last Friday, here is the link to her review. About the author: A son of the South, Channing Turner grew up in Arkansas and Louisiana before graduating from Louisiana State University in Psychology. He did graduate work in marine biology and became an estuarine biologist along the Texas coast. After retiring from the petrochemical industry where he worked in Louisiana and Montana as a laboratory analyst, he managed the 2010 US Census in Montana and northern Wyoming. He now lives in eastern Washington with his wife, Barb. Channing served in the army and was discharged as an Armor captain. 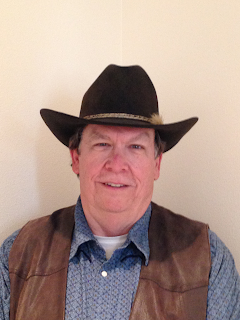 Reading and writing are his sedentary pursuits, but he also enjoys riding his Tennessee Walker in the Blue Mountains of Washington and Oregon. "I tried to hint at the character of the man he used to be when Yahweh chose him to be the first king of Israel. I don’t know if I succeeded at that. Probably not."